The Medline Sharps Containter MDS705201 is designed to be used in restricted access areas, these nestable containers save space and help reduce the cost of shipping. 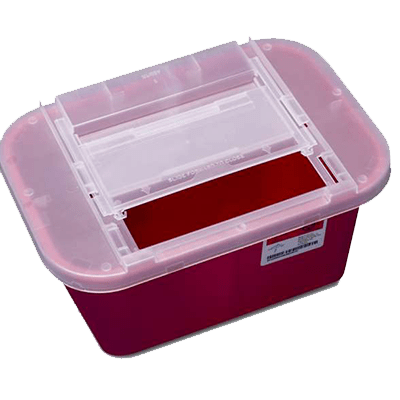 The MDS705201 has a non-torturous lid design that accommodates a wide variety of sharps sizes while its horizontal drop maximizes the use of the container volume. These containers come available with brackets that allow the sharps container to be mounted on the wall and save counter space, while its ability to lock for the final deposit allows for safe transport. For more information on Medline’s Sharps Container MDS705201, please visit www.medline.com.